Yoga classes with Catherine Carrigan have been moved to 1951 Northside Drive N.W., Atlanta, Georgia, 30318. The studio is full of orchids and overlooks a fountain and organic garden. Evening Classes: Tuesday and Thursday, 7:30 to 9 p.m. Morning Class: Thursdays 11 a.m. to 12:30 p.m.
What to bring: Yoga mat, yoga strap and yoga eggs. If you do not have your own, you will be provided the equipment. Cost: Evening classes $65 per calendar month or $15 per class drop-in fee. Morning class $15 drop-in fee. Teaching Philosophy: A good yoga class should be like the outfit that brings out your best that day. My philosophy has always been to teach for the immediate needs of my students. On some days, we may take a more vigorous, strength-based approach and practice flow yoga and hold challenging poses. On others, we may practice restorative or therapeutic yoga, pranayama or partner yoga. Students can let me know where they experience pain anywhere in their body and I will adjust the class to release your pain. 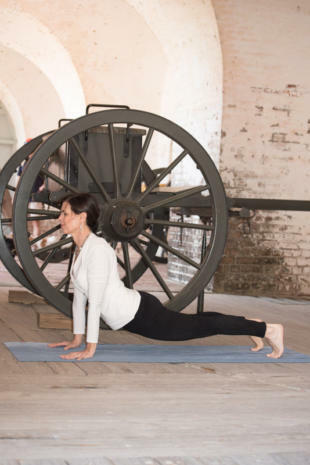 Your Instructor: Catherine Carrigan has taught yoga in Atlanta for 21 years. 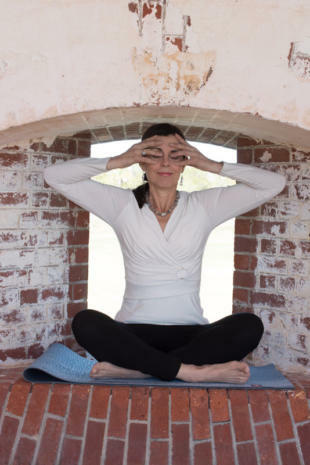 She has six 200-hour yoga teacher trainings, including with the Atlanta Yoga Fellowship, the White Lotus Foundation, Erich Schiffman (twice), Integrative Yoga Therapy and Lighten Up Yoga. She took her 500-hour yoga teacher training with Lillah Schwartz of Lighten Up Yoga in Asheville, N.C. 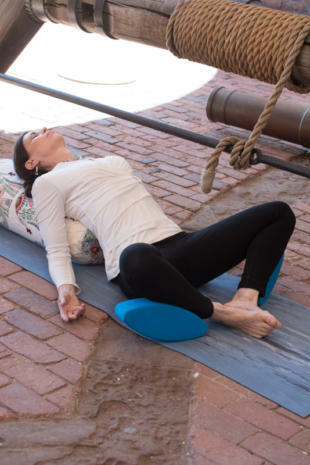 Her eighth book and sixth Amazon Number 1 bestseller, The Difference Between Pain and Suffering, includes an appendix with the 41 yoga poses she uses most often to get her clients out of back pain, hip pain, shoulder pain, neck pain, knee pain and exhaustion. She does private consultations with clients with challenging spinal conditions such as scoliosis, spondylolisthesis, herniated disks and kyphosis as well as a wide range of injuries. 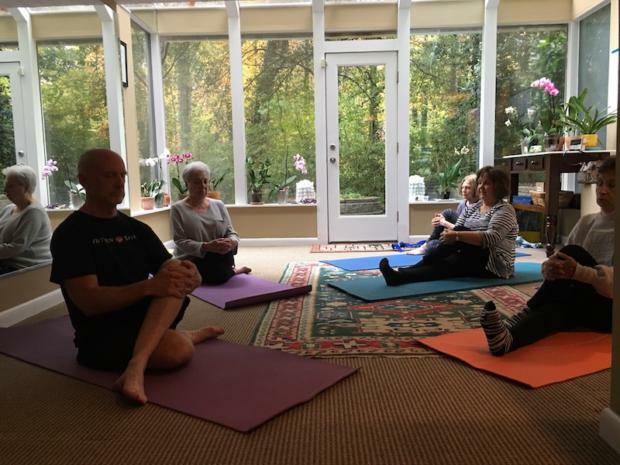 To join the class, simply show up 10 minutes before start time or call Catherine Carrigan at 678-612-8816 or email catherine@catherinecarrigan.com. For private instruction, make an appointment to have your spine analyzed. I will write an individual program to heal your back, hips, shoulders, neck, knees and/or wrists. Discover how you can eliminate pain and suffering naturally without drugs. So glad that your class will be starting up again! !